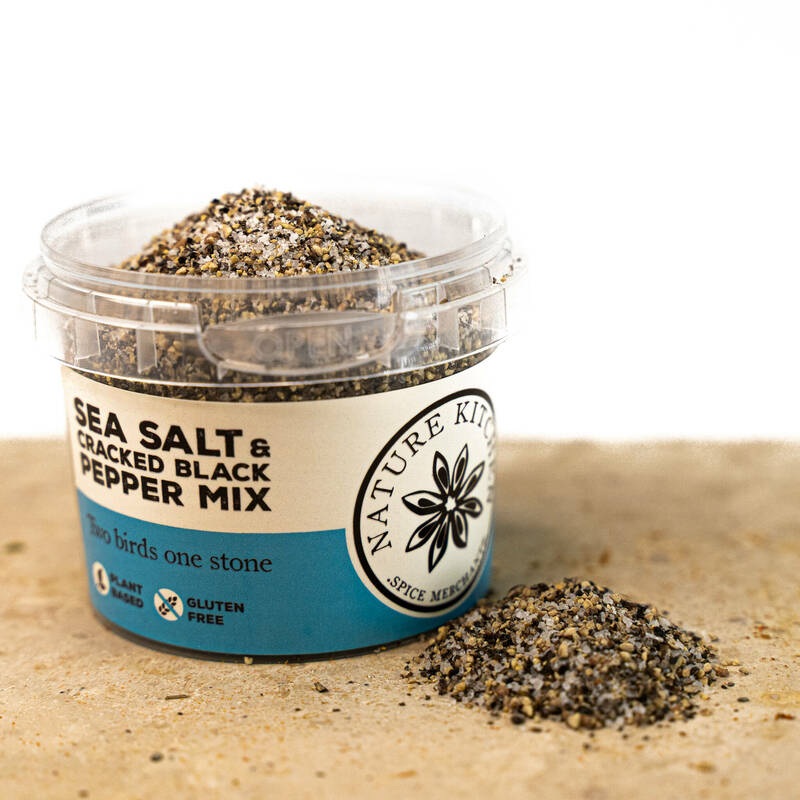 This handy little pot of freshly ground aromatic Black pepper corns and Kosher organic sea salt is so useful as a table condiment or during the processes of cooking. This little tub finds itself a handy travelling companion. A pot kept in the car can assist in a little seasoning no matter where you are. An easy combination of the most used spices. The secret in the great flavour is good quality young dried Peppercorns freshly ground together with the sea salt. Very versatile, a must for your kitchen. For Posh Chips in food service add to a shaker for customers to sprinkle on.